And they want it in size!!! China wants to put some of their foreign exchange reserves into gold, and the figures bandied about are boggling. The pigs in gold win!! China is relatively well insulated from the Dubai crisis, as there are no reports of Chinese banks with debt exposure to Dubai. And while there are a few Chinese real estate and construction firms with limited exposure to projects in the Emirates, nothing seems to be grave. Yet Dubai's issues portend the perception of a looming dollar crisis in the West. 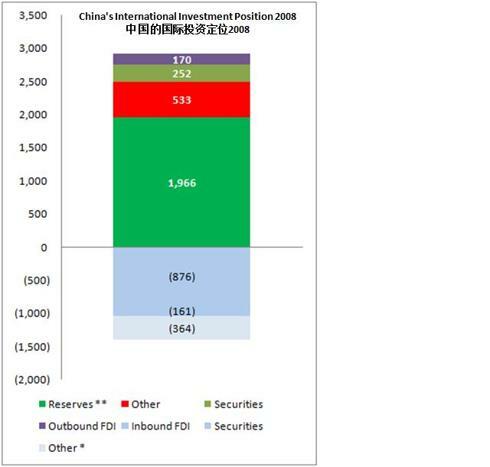 The graph below highlights China's net international investment position (in 2008). What used to be less than US$ 2 trillion in Fx reserves (above) is now US$2.27 trillion. 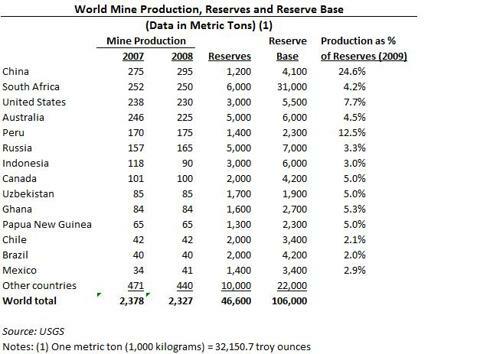 Much of this is parked in U.S. treasuries. 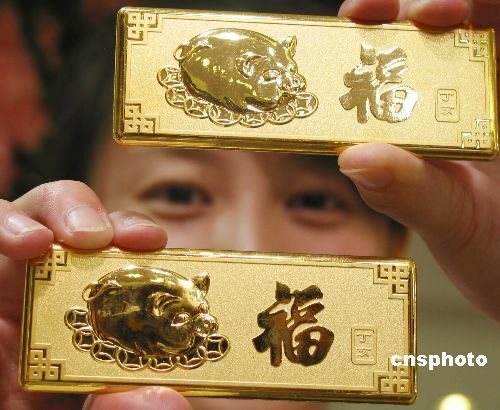 Over the past year, Chinese officials have been pressing to move more of the country’s reserves into hard assets and commodities such as gold and oil. Yesterday, we picked up the China Youth Daily newspaper in which Ji Xiaonan claimed that "China should increase the amount of gold it holds in reserves to reduce potential losses from a depreciating dollar. We recommend China increase its gold reserves to 6,000 metric tons within three-to-five years and possibly to 10,000 tons in eight to 10 years." Palmoni, how are you playing gold? in the long run is just having cash in savings doomed?